All good things come in pairs, the spring time earrings and bracelet is jewellery to fall in love with all over again. 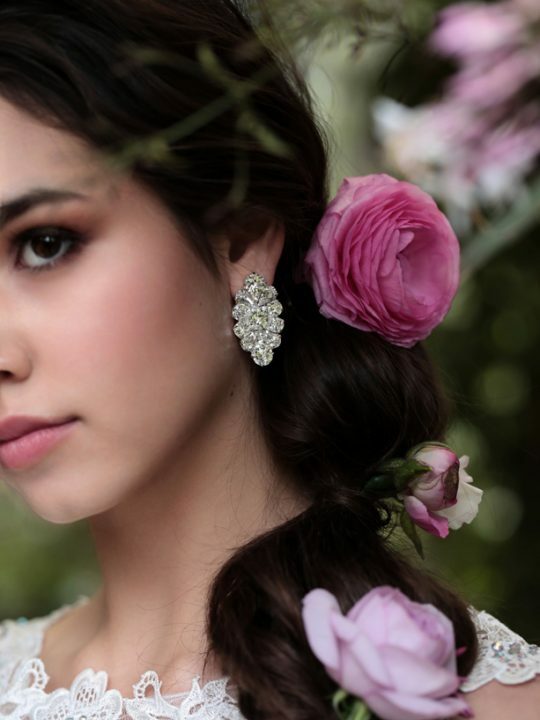 Our cornerstone Spring time wedding earrings jewellery set from our spring time romance campaign. I have had so many brides asking for stud earrings lately, so I went back to the drawing board and voila. The Spring time stud earrings have a large centre crystal surrounded by twelve little diamonites, they hit the light oh so nicely. The backing is a tight clear piece that will hold your earrings your ear snuggly all day long. I have the spring time earrings in black with silver crystals, I keep giving them away to my friends because they love them. I really need to stop doing that! If you would like them in black and silver send me an email and we can make them for you. In the black they are great for day wear as well as evening wear. Match with the Spring time bracelet to complete your wedding day look. We have made the bracelet catch resistant, so now nasty little claws will scratch your wedding dress. Length 2cm long, 1.8cm wide. 21cm long with adjustable chain, widest point 2cm. I believe both pieces should be worn together, but if you want to purchase separately that will be a ok. Let me know if you would like the bracelet and i will send you a pay pal link asap. 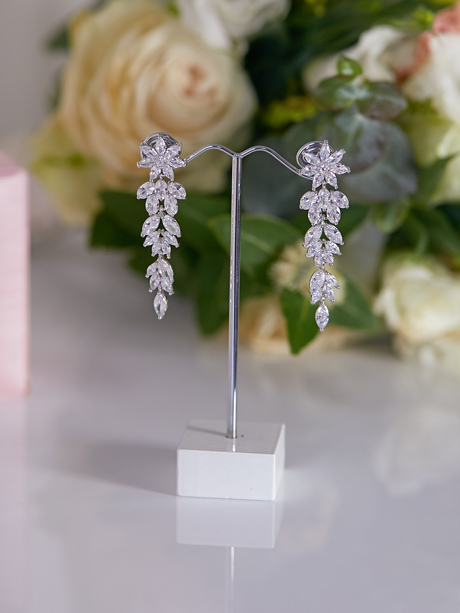 Spring time Earring are priced at $74.95 and is in silver colour. Spring time Bracelet is priced at $149.00 and is in silver colour. 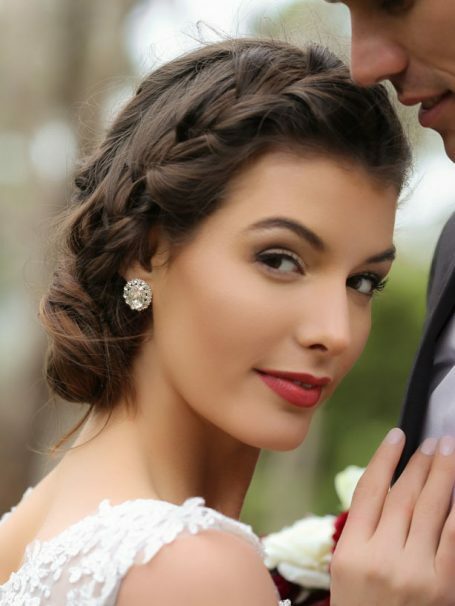 Photography by “To have and to hold wedding photography”.